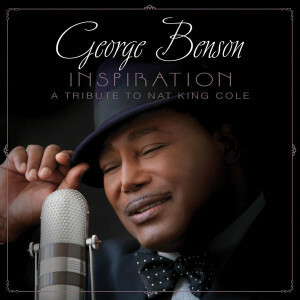 Another album from the Concord Records from 2013 is George Benson’s tribute to Nat King Cole: Inspiration. I might have explained before that I also think that the music of Nat King Cole is something I’m also enjoying to listen, but with that CD George Benson makes it clear that he was and still is one of the greatest admirers of Nat King Cole and his muisc. The album starts with a recording from 1951 with Little George Benson singing and playing the Ukulele to “Mona Lisa”, his personal choice at that time and still today, also closing the record with the original arrangement from Nelson Riddle. In between we hear many of those great songs Nat King Cole became famous also in it’s original arrangements and George Benson as the really inspired vocalist. Benson’s voice is very similar to Nat King Cole’s way of singing, especially on “Walking My Baby Back Home”. “Just One Of Those Things” featuring Benson also on the guitar with a classic-Benson solo singing the guitar solo line. “Unforgettable” with Wynton Marsalis on trumpet and Benson on guitar playing this song groovy and relaxed with no extra pathos. “Route 66″ shows again the excellently swinging Henry Mancini Institute Orchestra, under the direction of arranger Randy Waldman. My personal highlight on this CD is “Nature Boy”. The arrangement is again from Nelson Riddle and Benson plays the solo part on guitar. This song has not covered any dust in all those years since it was released by Nat King Cole in 1948, just amazing. And I think this is also Benson’s message with this album: Here is some music I grew up with and the music from my youth has inspired me my whole life and now I allow myself to play and sing these original arrangements and hopefully inspire another generation of musicians. “Smile” features Till Brönner on trumpet, “Too Young” features Judith Hill (you can hear here tonight at the Oscars) on vocals in a nice vocal duet and “I’m Gonna Sit Right Down and Write Myself a Letter” is again a swinging big band arrangement giving Benson again the opportunity to play an excellent guitar solo. So this tribute to Nat King Cole shows this music in it’s original form perfectly played by today’s masters. Benson himself is very proud of this album because it presents one the greatest guitar players of our time as what he always wanted to be: a great singer. 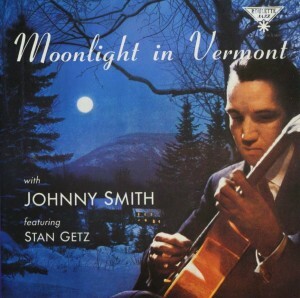 “Moonlight in Vermont” is a ballad written by John Blackburn and Karl Suessdorf in 1944. It was recorded by Margaret Whiting and the Billy Butterfield Orchestra and became immediately a big hit. The lyrics of John Blackburn are also special, since they do not rhyme, but they describe perfectly a late fall-early winter landscape in Vermont (an area which has the perfect scenery for an American Christmas dream) and no wonder, that the song was also very popular with the American troops fighting in Europe during World War II. The form is the very popular 32-bars AABA form with an additional 2 bars played as ending, sometimes after each chorus, sometimes only at the end of the tune. The original key was Db major, but the real book notates it in Eb, and the most popular cover version by Johnny Smith was played in C major. Johnny Smith and Stan Getz: This instrumental version of the song is the most popular version and I think also the most interesting one. 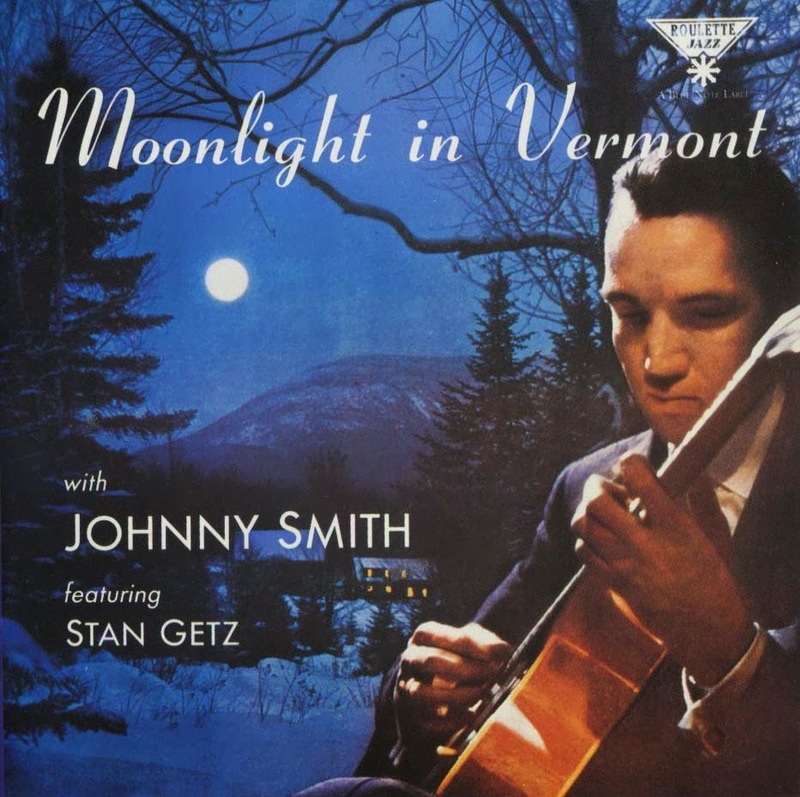 It shows Johnny Smith playing very closed voicings on the guitar sounding almost like a steel-guitar and Stan Getz adding a very cool and relaxed saxophone. Stan Getz has recorded another cool version of this tune together with Chet Baker on trumpet. The tempo of this version is quite similar to the version with Johnny Smith, but Chet Baker and Stan Getz play the melody well-composed and arranged in two voices. Nat King Cole recorded an instrumental version of this song in 1947. Very soft and easy played with a sparkling Nat King Cole on piano. Interesting enough I found no version where he sings. Billie Holiday recorded this song in 1957 with her orchestra, featuring Ben Webster on tenor saxophone and Barney Kessel on guitar. Also very easy and relaxed and I like her voice anyway very much. From Joe pass you can find two nice versions, one as soloist on his CD “Unforgettable” from 1992, released after his death in 1998, where Joe Pass plays the song on a nylon string guitar, not on his regular Gibson ES-175 Jazz guitar. The other version is a duet with Ella Fitzgerald on the album “Easy Living” from 1986. Finally I would like to present a version from country singer Willie Nelson. His version is from 1978 from the album “Stardust”. This album consists of pop and jazz standards that Nelson chose from his list of favorite songs. The album was 10 years in Billboard’s Country Charts and Nelson won a Grammy for the song “Georgia on My Mind” in 1979. The song starts simple and easy with guitar and vocals and has a very sweet harmonica solo part. Listen to the songs in the playlist and if you know an interesting and unusual version of this song, please leave a comment.